For this theme I once again took inspiration from my garden. Watching the seasonal changes is always fascinating. The garden is full of all sorts of flowers and the apple blossom has been particularly lovely this year. 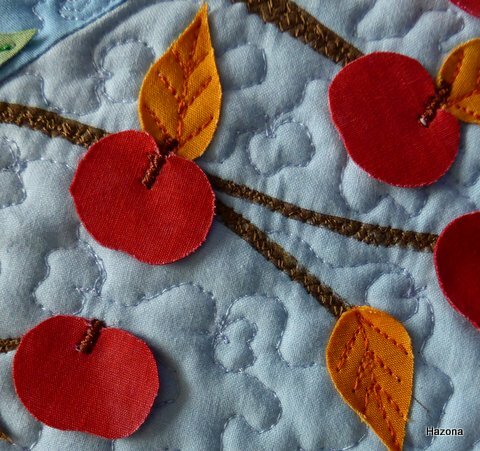 Here was the idea for my quilt – the apple tree in all seasons. All the fabrics used were hand-dyed cotton. The threads used were cotton for piecing the background and rayon for the quilting and embroidery. What a pretty tree, I love the blossoms, leaves and fruit they just jump from the background. Great quilt Helen. Beautiful background colors and quilting. I love the idea of the 4 seasons on one tree. Wel done. 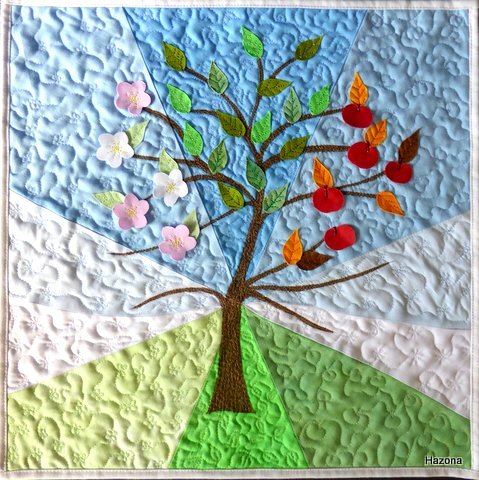 I love the way your tree changes throughout the seasons, and the colours and the quilting design really add texture and compete the piece. Great quilt Helene, the design is spot on and the quilting gives the fabric an embossed look, well done. Very nice how you did all the Seasons in one tree. 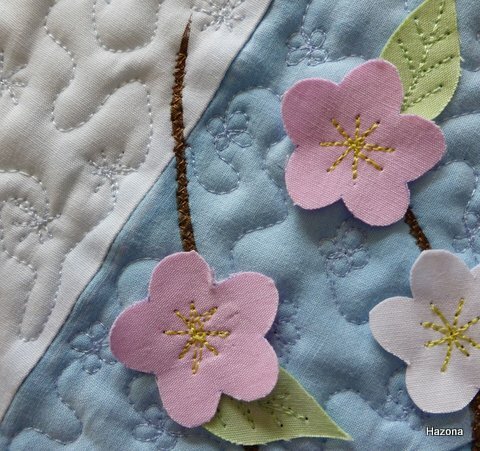 I like the background quilting, also the different seasons, although at first site it looks the same.